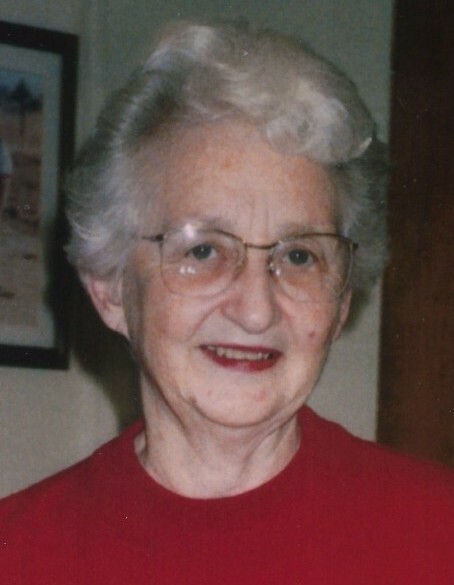 Norra Dean Dickey McLeod, of Birmingham, passed away on Sunday, October 14, 2018, at the age of 89. She was the third child born in her family to parents, Madison Douthit Dickey and Bertie Sue Forsyth. She was raised in the Highlands Community near Clanton, AL with her other siblings, Sovereign, LZ, and Mary Sue. Dean attended the University of Alabama from 1947- 1951 where she received her degree in Accounting. Her senior year, she was recognized as having the second highest GPA in the school of Accounting. She also was the recipient of the Austin Cup in 1951 as the highest award for the Outstanding Student in the School of Commerce and Business. She married Thomas McLeod on October 12, 1952, in the First Baptist Church, Anniston, AL. Dean went on to obtain her CPA License and worked for many firms throughout the years. She worked from home for quite a while before returning to work full time in 1979. In 1987, she left her home of 37 years and went with Thomas to his childhood home in the Harmony Community, MS. In 1989, Thomas and Dean purchased Michael’s Shoe Store in Meridian, MS which she managed. They sold the shoe store and moved back to Birmingham in 2000. She was exceptional in every way as it relates to academics and business. She was known for her bright intellect and integrity. Dean and Thomas were always involved in a church. Shades Mountain, Vestavia, Harmony and Indian Springs Baptist Churches all were places where she served and worshipped. She was loyal and devoted to her husband, Thomas, for 66 years. Her most significant work and accomplishment, right after her marriage, was raising their 4 sons. From 1953 forward, her most important job title was ‘Mom’. She took all of her talents and skill and poured them into her children, alongside Thomas. Her love was lived out to her family every day. This continued on to the grandkids as well all the way up until she lost her capacity to serve. Most of all, her love for God and her family’s salvation and personal relationship with Christ was her driving force. She loved her family. She always worked to have peace and unity with those she loved the most – her family. Some of the words her children and grandchildren use to describe her include: humble, quick to listen, gracious, hard-working, hospitable, wise, loving, thoughtful, gentle, respectful, prepared, strong, generous, slow to anger, practical, and loyal. How do you put 89 years of a person’s life into a few words? You can’t do it. There are too many stories – too many lives impacted over too many years to begin to do it justice. May we all carry on your legacy of love, service and example as our greatest way to honor you and the life you gave for so many. Dean is survived by her husband of 66 years, Dr. Thomas Edmond McLeod; 4 sons, Thomas Edmond Jr., Jeffrey Dickey, Phillip Henry, and Bruce Travis McLeod; 16 grandchildren, and 11 great grandchildren. The family will receive friends on Thursday, October 18, 2018, from 10-11 AM at Currie-Jefferson Funeral Home in Hoover. The service will follow in the chapel at 11 AM with Rev. Allan Murphy officiating. Interment will be in Jefferson Memorial Gardens, South. In lieu of flowers, the family requests donations be made in Dean's honor to the Lottie Moon Offering at (www.imb.org/lottie-moon-christmas-offering).